Atlas Dream Sequence, 2011. 5.75 x 11.125 x 1 in. 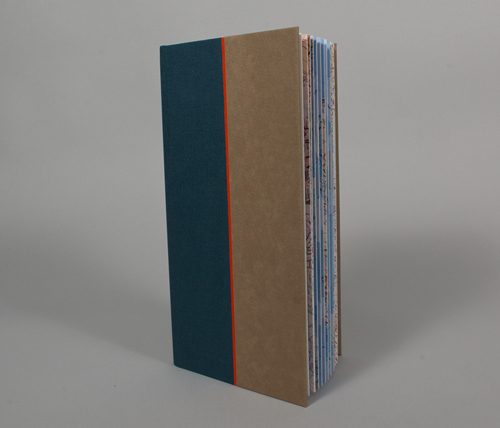 Inkjet printed, drumleaf case bound by hand, 36 pages, edition of 25. 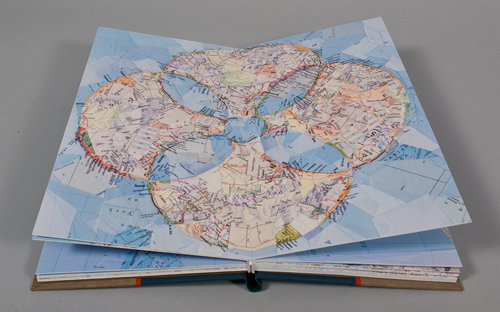 Atlas Dream Sequence is a series of collages made from maps, where each page spread is an imagined magnification from the previous spread. The front and back of the book are equal; the sequence of images can be read from either direction. 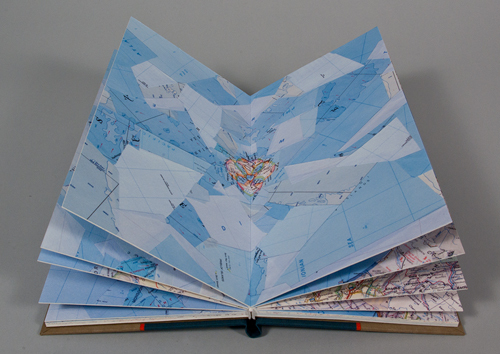 Atlas Dream Sequence was selected by The MCBA Prize jury for special recognition of merit, and will be in The MCBA Prize exhibition during the Book Art Biennial, July 27-28, 2013. Atlas Dream Sequence: $460. includes shipping regular mail within the USA/Canada. For shipping outside the USA/Canada please email for an estimate before purchase [ hn (at) heidineilson (dot) com ].